A Night in London: What you can do? London is undoubtedly a city which attracts an incredible number of tourists every single year. The city is well-known for its culture and art. It is both classy and sassy at the same time and there is no other city that can ever beat the aura of London. Some of the popular music venues in London include Ronnie Scott’s Jazz Club, The 100 Club and Koko. You can also enjoy tapping your feet to the brilliant jamming session at Ain’t Nothin’ But Blues Bar or you could listen to the audience-requested playlists live at the Piano Works. Discover 200 plus luxurious and high street shops all in one roof at Westfield London which is open until 10 pm from Monday to Saturday. The famous London Oxford Street is a home for departmental stores and designer brands. Also, do not forget to peep in at the big brand stores like Mary Quant and Joseph which is open until 9 pm at the Duke of York Square. You can be a part of an engaging theatre show such as The Great Gatsby and the Witness for the Prosecution. You can also treat yourself to a glittery and flashy musical like the Lion King and the Wicked or you could just sit by a window side having a scenic view and enjoy playing some mesmerising online casino games at the Brightstar Casino with your smartphone, PC or a tablet. 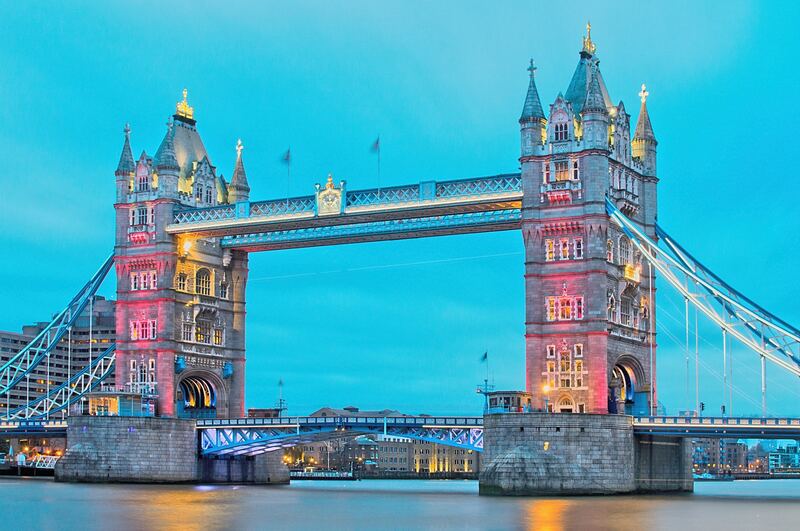 Go on a walk along the river from Tower Bridge to Westminster Bridge to see some of the capital’s top attractions which are beautifully lit up at night, including the Coca-Cola London Eye, Big Ben and the Houses of Parliament. Go on a bat walk to be dazzled by the amazing aerial acrobatics of these amazing flying mammals on Thursday nights at the WWT London Wetland Centre. The Haunted London Pub Tour is sure to spellbind you as it is the city’s most mysterious drinking dens. You can enjoy drinking in London’s most haunted pubs like The Grenadier, The Spaniards Inn and former jail The Viaduct Tavern or you could soak yourself in the traditional pubs such as Ye Olde Cheshire Cheese where the famous novelist Charles Dickens used to drink. Do enjoy a drink with a view at the Riverside pub. See London sparkling at night with a trip to The View from the Shard. Also, watch the beautiful sunset of London at the Sky Garden which has a free entry. Spend a night at the National History Museum with Dino Snores, which includes a torch-lit trail. Sleep within roaring distance of the majestic Asiatic lions as part of ZSL London Zoo’s Lion Lodge experience. The children can sleep overnight in real sailors’ bunks on board HMS Belfast and experience life below deck. You can try ice skating at the Alexandra Palace Ice Rinkor during winter at the city’s magical outdoor ice rinks, which is open from November to January or you can go climbing at London’s largest indoor bouldering space at Stronghold Climbing Centre in Tottenham. Do try gliding down the slopes of London at the capital’s largest indoor ski centre, Chel-Ski. Discover London’s best attractions, landmarks and spots today. You are certain to have a wonderful time if you have sorted your must-visit places in London. Happy sightseeing!